More than 50 years after its construction, the single-largest collection of Ludwig Mies van der Rohe‘s built work is now a national landmark. The National Park Service on Tuesday designated Detroit‘s Lafayette Park its 2,564th National Historic Landmark, validating the efforts of the Michigan State Historic Preservation Office, which began the documentation and nomination process in 2012. 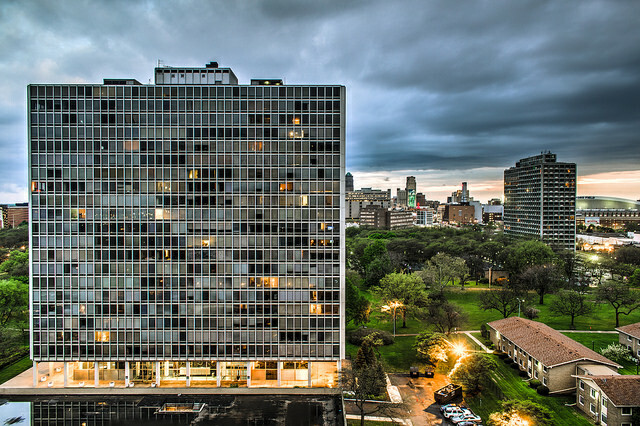 Quinn Evans Architects of Ann Arbor led those efforts as part of the preservation group’s Michigan Modern Project. The two-story Mies Townhouses are some of the more desirable pieces of real estate in Detroit, routinely fetching $150,000-$200,000 a pop for the three-bedroom, one-and-a-half bath units. The twin Lafayette Towers were added to the skyline in 1963. 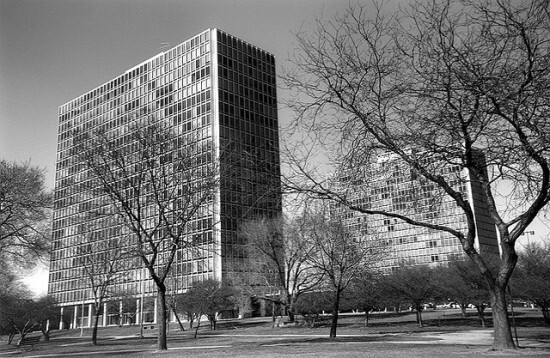 There are also a number of other buildings in the development designed by other architects, though they all follow Mies’ lead.